The world’s first locally produced ‘blockchain’ beer will be launched at the Belfast Summit of Global Food Integrity later this month (28-31 May), a major international conference which is being hosted by the Institute for Global Food Security (IGFS) at Queen's. Shane McCarthy, a 2009 BSc Finance graduate from Queen’s, said the idea first came when the beer, whiskey and gin-exporting company he founded, Ireland Craft Beers, hooked up with NI digital-solutions firm, arc-net. Through arc-net, Shane and Liam (also a member of the Queen’s BSc Finance Class of 2009) came into contact with Professor Chris Elliott, Founder of the IGFS at Queen’s, who was also working on the development of traceability solutions for the food and farming industry. 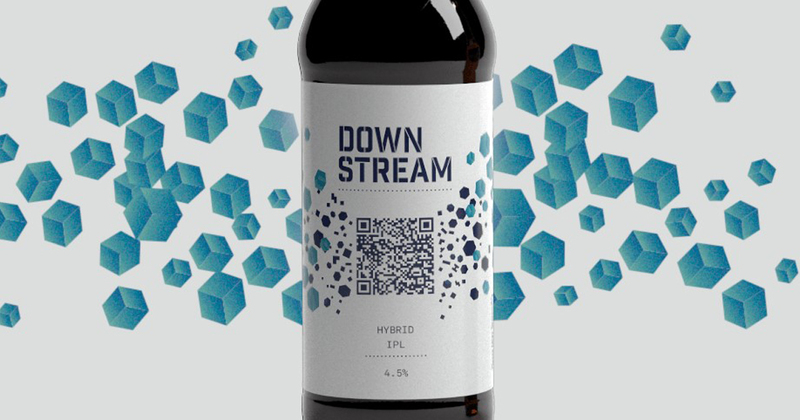 Downstream is available online at Honest Brew and Borough Wines and has been listed for supply to Marks & Spencer this coming autumn. However, delegates to the Belfast Summit on Global Food Integrity can have a sneak preview when the beer features at a special showcase of NI agri-food at St George’s Market, on the evening of Tuesday 29 May. While that showcase will be open to the public, space is limited and delegates to the Summit will receive priority. Professor Chris Elliott said it was great to see a local company pioneering technology that could change how we farm and produce food, right across the world. To find out more about the Belfast Food Summit or to register, click here. All media inquiries to IGFS Communications Officer Una Bradley on +44 (0)28 9097 6571 or 07920 088450 (m).